No time for intros, I want to be watching episode 5 within the next 20 minutes. Now, that says something about the quality of this show. It took a while to meet the villain of this series, Wilson Fisk but episode 3 ended on an amazing note displaying his humanity as a character rather than his power or malevolence. Most of the criticism towards Marvel Studios is that their villains are lackluster and one note. Ronan, boring; Malekith, dull as well; Madarim, a joke. I knew Wilson Fisk was going to surpass the villains of the Marvel universe but I didn’t think he would surpass the heroes as well. Villains are usually the most interesting characters in comics for me, and I forgot about that in the MCU. Daredevil’s Kingpin has reminded me just how much I love villainy. With one episode, this show manages to flesh Wilson Fisk out more than any other villain in the Marvel universe. Best part is they use a date to do this. Usually dates can get tedious and aggravating but the writers used Wilson’s date with Vanessa as an incredibly humanizing event. They portray Wilson as quiet and shy, while feeling a little insecure about his dating skills. Brilliant. He may be extremely violent but he’s also a very human character that we can sympathize with. Yet, he carries mystery with him as we still don’t know the depths of his motivations. What we do know, however is that no one wants to embarrass this man. The climax of this episode took this human villain and showed us what his malevolent side is capable of. This sequence flabbergasted me and left me in awe. Vinent D’Onofrio said in an interview that he wanted every punch he threw to be heavy and powerful. Boy, did he pull it off. Kingpin is one of the most intimidating villains ever put to screen. Simply that would’ve been enough to make him a great villain but Daredevil isn’t that simple, Fisk is profound as well, making him one of the best Marvel villains we’ve ever seen on screen. The focus was mostly on the villains of the show this episode, truly proving that this show is much larger than one man. But said man wasn’t absent, here. He actually had one of his best action sequences as he us showed why you don’t want to piss him off. Daredevil is a scary character and the way he operates in his sole action sequence this episode was a great representation of that. Another aspect of the show that I’m really enjoying is Karen Page. She’s not like Laurel Lance in Arrow season 2 or Felicity in season 3, she’s just a strong female character. She isn’t annoying, or childish, she’s independent and brave. She’s paired up with Ben Urich as they are investigating the illicit activity of Karen’s former employers. I enjoy this plotline even though it isn’t as interesting as others because it makes the supporting characters feel useful to the ongoing narrative. 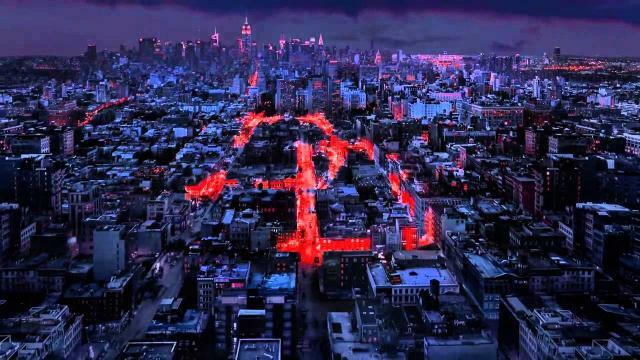 Daredevil had an amazing first three episodes that set-up the world and explored its protagonists. The fourth episode continues building the tone and crafting the city, but instead goes in depth into the main antagonists. We could not have asked for a better portrayal of Wilson Fisk who just might be the most interesting character in this series. This is why I’m adoring this show so much. The characters are so compelling and layered that it barely needs a strong plot to be great. But it has a strong plot too and that’s why it’s fantastic.